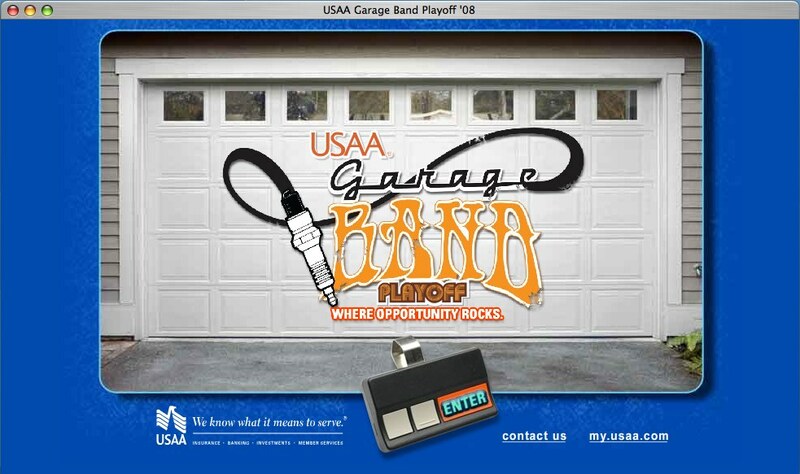 Encouraged teens to begin their banking and car insurance relationships with USAA, through a “battle of the bands”-style contest. 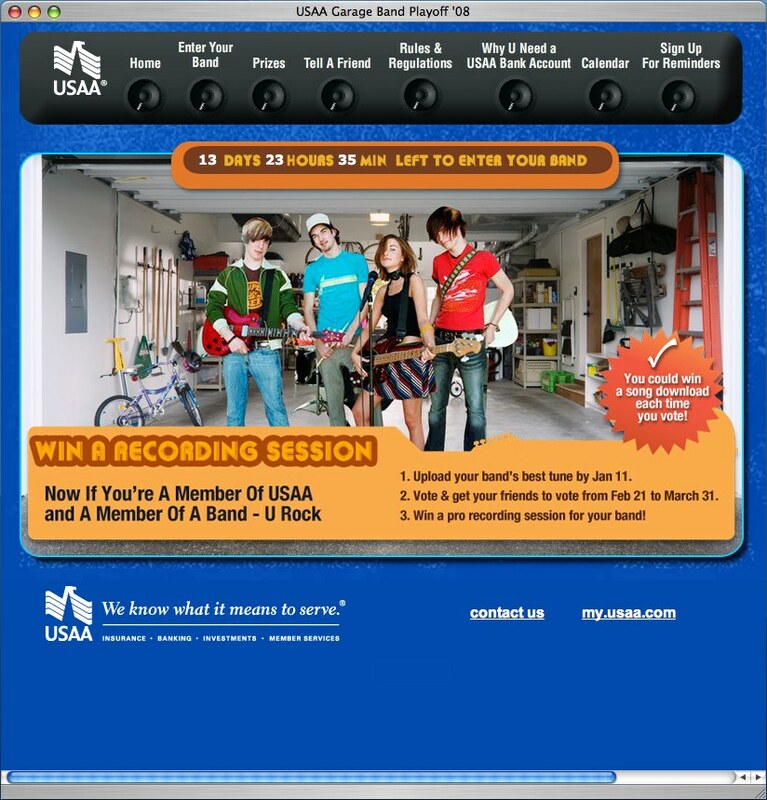 Bands would invite friends and fans to vote for them, aiding viral communications. Winner received a recording session with a big-name professional record producer.